After the high of a busy holiday season, small business owners have to face another season that’s nowhere near as enjoyable – tax season. It can, however, be navigated successfully by following the basics. 1. Keeping Records – If you don’t keep proper records of all your expenses, it’ll make accounting a nightmare. It also means you’ll be hard pressed to claim all the available tax credits and deductions. Even if you do file properly, you still won’t have the receipts to back it up if you get audited. Ensure you have bills and receipts for all expenses associated with the business, including capital expenses, auto expenses for transportation, travel costs, business lunches, bad debts, interest payments, etc. 2. 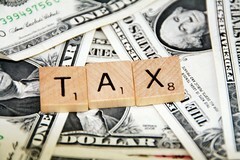 Special Tax Provisions – There are quite a few changes made to the tax law every year. Some new deductions and credits come into play, while others expire. For instance, small business owners need to be aware of more than 17 tax provisions under the Small Business Jobs Act of 2010. 3. Affordable Care Act – ACA has several tax provisions that make it easier for employers who must buy health insurance for their employees. One of the provisions is that employers can claim 35 percent of the premium as tax credits. Next year, a full 50 percent of the premium will be covered by the tax credit. 4. Business vs. Personal Expenses – It’s highly important to keep personal expenses separate from business expenses. It’s a bad idea to spend money from a business account for personal reasons, and then try to explain how it fits into the business. The best way to do it is to move profits from the business account into another personal account, and then spend it. 5. Avoiding Audit Traps – You have to claim all available tax credits and deductions, but there are some areas where you need to be careful and completely aboveboard. For instance, home-office deductions are a prime target for scrutiny. All businesses do not qualify for this deduction, and even those that do may only avail of specific kinds of deductions. Also, be very specific when claiming deductions and expenses. Lumping a lot of expenses together under miscellaneous without elaborating on it is a sure-fire way of ending up on the wrong end of an audit. Another common trigger for an audit is labeling employees as independent contractors to avoid payroll taxes and save on the costs of providing benefits. Unless the worker really is a contractor, this is an ill-advised move that is being scrutinized very closely these days. 6. Books, Training Costs and Consulting Fees – An often ignored deduction is the one associated with getting help for performing a business function. Small businesses consult a variety of professionals ranging from lawyers to tax experts. Obviously, you can claim a deduction for this. But sometimes business owners may spend money to learn about some aspect of the business, such as buying books or taking training courses. Many of these tips may seem rather obvious. But you’ll be surprised that some of them are among the federal tax deductions most frequently overlooked by small business owners.